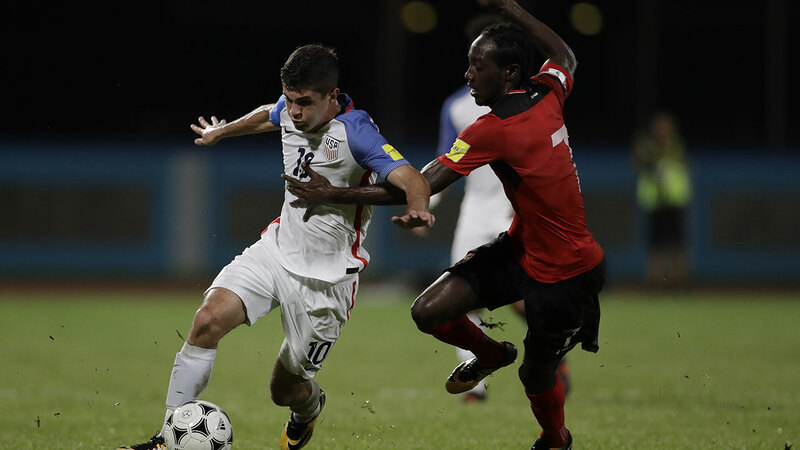 The United States has been eliminated from World Cup contention, a shocking loss at Trinidad ending the Americans' streak of seven straight appearances at soccer's showcase. Twenty-eight years after a stunning victory at Trinidad put the Americans back in the World Cup after a four-decade absence, their chances for next year's tournament in Russia ended on this island nation off the coast of Venezuela. Trinidad and Tobago scored a pair of first-half goals, and the United States was eliminated with a 2-1 defeat Tuesday night - the first time missing the World Cup since 1986. The 28th-ranked Americans needed merely a tie against 99th-ranked Trinidad, which lost its sixth straight qualifier last week. But the defeat - coupled with Honduras' come-from-behind 3-2 win over Mexico and Panama's 2-1 victory over Costa Rica on Ramon Torres' 88th-minute goal - dropped the Americans from third place into fifth in the six-nation final round of the North and Central American and Caribbean region.